The hip-bump sweep is a staple of the Kimura family from closed guard and can be useful for setting up a guillotine choke as well. This is well known by most jiu-jitsu practitioners, but the hip-bump sweep can also set up a triangle choke. This move tends to be less well understood and can be a huge advantage for the knowledgeable practitioner. 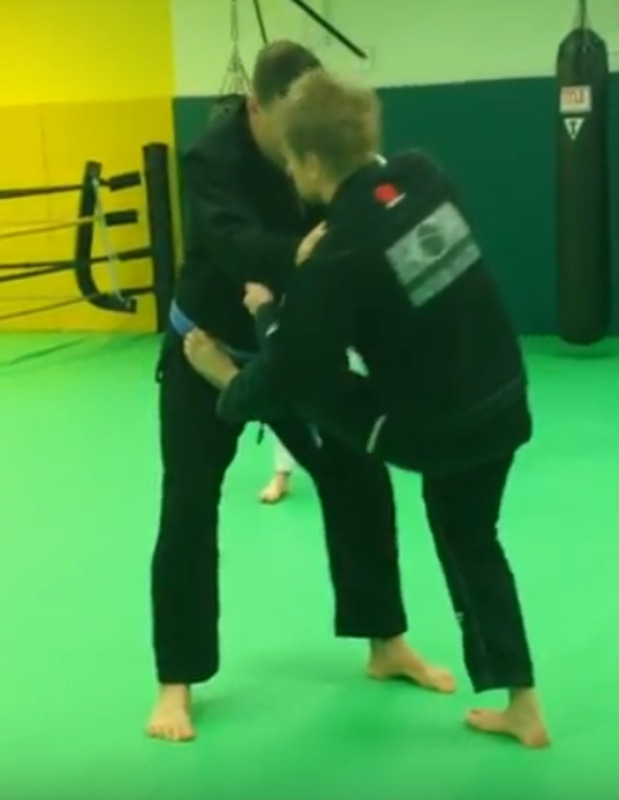 Here, we'll cover a few different methods of catching the triangle, and some key details of how to use the hip-bump sweep as a tool to set up the triangle. Following the classic hip-bump sweep model is probably the easiest way to start using this combination. 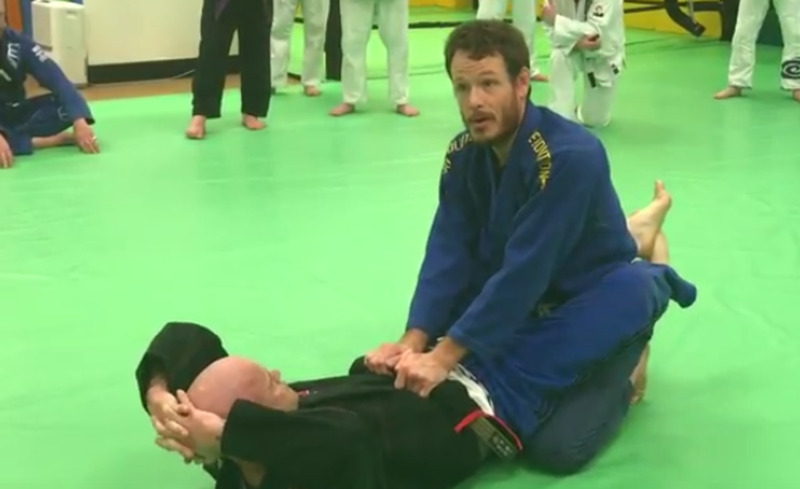 Start with closed guard, making sure your opponent's hands are on the mat (there are several options available for this, including swimming inside, or directly knocking their hands off). Sit up into your partner, with your armpit over their far shoulder. The idea here is to push them over with your hips, almost like standing in base. However, as you go to finish the sweep, your partner is able to post on the mat for base (but too far away for you to grab the Kimura). Shift your arm around your partner's head (much more detail on this below), and hang from their head, making sure their weight stays on their posting hand. This should facilitate you to climb your hips up higher, and then you should be able to jump the triangle from there. The head-hug method is a great shortcut you can use to maximize your catch percentage here. Instead of the "armpit on shoulder" classic position, which enables you to switch to the Kimura or guillotine choke relatively easily, try hugging their head instead. Assuming you're sweeping (off balancing) your partner to your right, throw your left leg up high across their shoulders, ensuring that they won't be able to remove their posting left hand from the mat, lest they fall down allow you to sweep them straight to mount. This will facilitate the removal of your right leg; you should be able to retract it fairly easily, keeping your weight on your left leg (and on their shoulders). Another advantage to the "head hug" method is that you can also hook your partner's arm from the front, using your left hand like a hook in your partner's armpit and biceps area, helping to facilitate bringing your leg through for the triangle. This extra measure of control may give you long enough to get free and set the finish up. 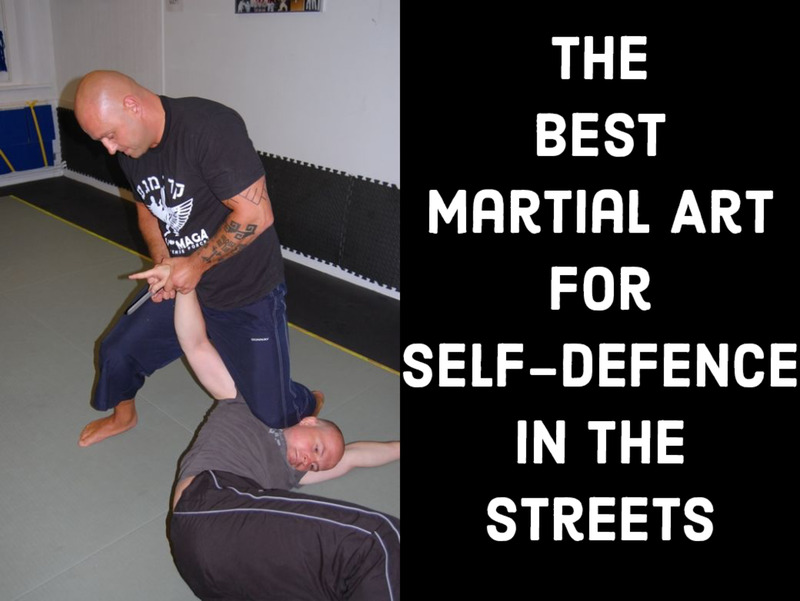 Similarly, if you prefer to keep the options of the Kimura and guillotine open, you may be able to set up the hip-bump sweep the traditional way (armpit on shoulder), and still use the arm-hook trick. Instead of hooking from the front, as before, simply use your left arm like a Kimura grip hook, making sure to keep their elbow flared out. This should help tremendously with the catch. Another nice thing about the hip-bump series is that you can use it to set up overhooks. Often times, as your partner attempts to flatten you back out as you sit up, they will inevitably hug you, taking the route of underhooks while doing so. 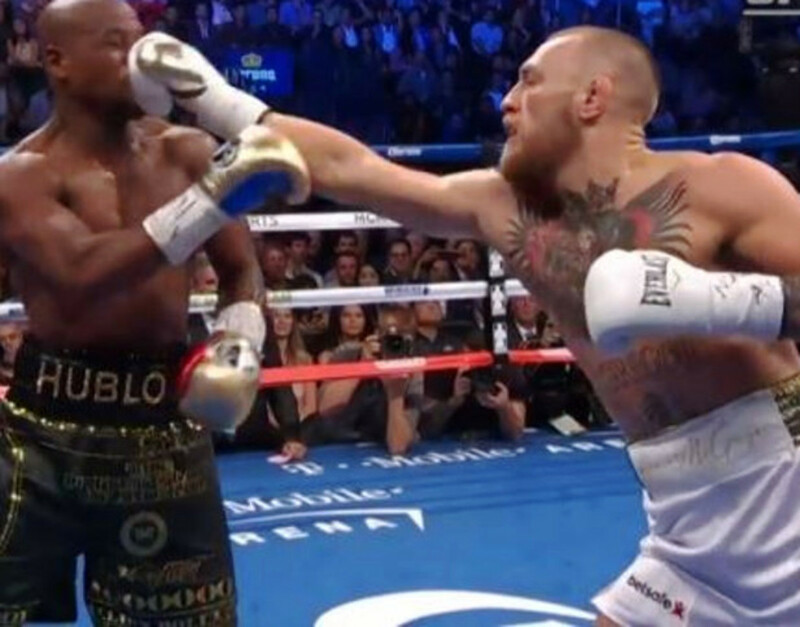 This ensures that they will, indeed, be able to flatten you out, but it also concedes the overhook to you. Grab it, and put it to good use right away with an overhook triangle setup! Hip Bump: Head Hug or Armpit on Shoulder? Once again, jiu-jitsu shows its ability to evolve and produce high percentage techniques. The hip bump to Kimura to guillotine combination has been well understood by many jiu-jitsu white belts for a long, long time. Introducing the triangle into this combination series, and producing its own various combinations off of that new option, showcases how dynamic and evolutionary our art is. As always, if any of these techniques resonate with you, let me know how they're working!